Kuru karmaiva tasmat tvam purvaih purvataram krtam. tvam karma eva kuru = you also do karma-s only. So Lord Krishna sums up His conclusion for this theme by stating that having known that He is completely free from desire and attachment although performing such magnificent activities like creation of all the worlds He is never implicated by it. But great beings like Manu and Janaka performed actions according to the injunctions of the Vedic scriptures and being free from egoism without desire for rewards also achieved moksa or liberation as such actions are never binding. Therefore Arjuna and anyone else should perform such actions following in their footsteps as they have come down through the ages in parampara or diciplic succession. Beginning from the previous four slokam-s where Lord Krishna explains: In whatever way one worships Him then that offering He will accept. By this He refuted any conception of partiality of God and allowed Him to propound karma yoga or the performance of prescribed Vedic activities according to status and position in life. Thus knowing that actions performed without egoism do not bind one to material nature. Ancient seekers of moksa or liberation such as King Janaka the father of Sita who performed great deeds of yore for the benefit of the world and for purification of their minds. Therefore Lord Krishna is encouraging Arjuna to follow in their footsteps. Even after realising the eternally, transcendental position of the Supreme Lord one should still perform Vedic actions as a matter of principle following the tradition of the ancients. The performance of Vedic actions of the ancients means without desires or attachments. Understanding Lord Krishna as delineated in the previous slokam-s did the ancient seers and sages perform Vedic activities dedicated to Him and thus achieved moksa or liberation from material existence. 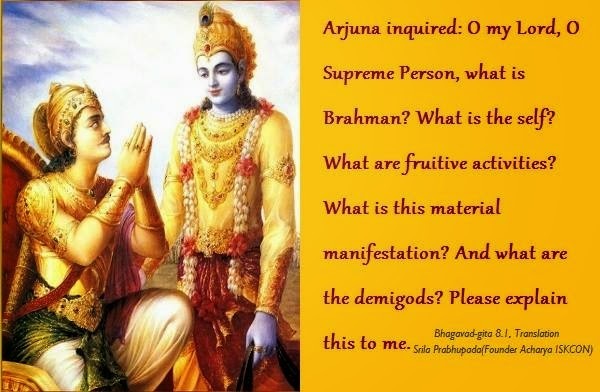 He is encouraging Arjuna to perform karma yoga or prescribed Vedic activities as the ancients such as Visvavan and Manu performed it in knowledge of Him.